during jeff and jodi’s visit last month, i made a decadent baked french toast with raspberries and blackberries. it was delicious, if i do say so myself! way too rich to eat on a regular basis, but it was great for a late morning brunch for a special occasion. 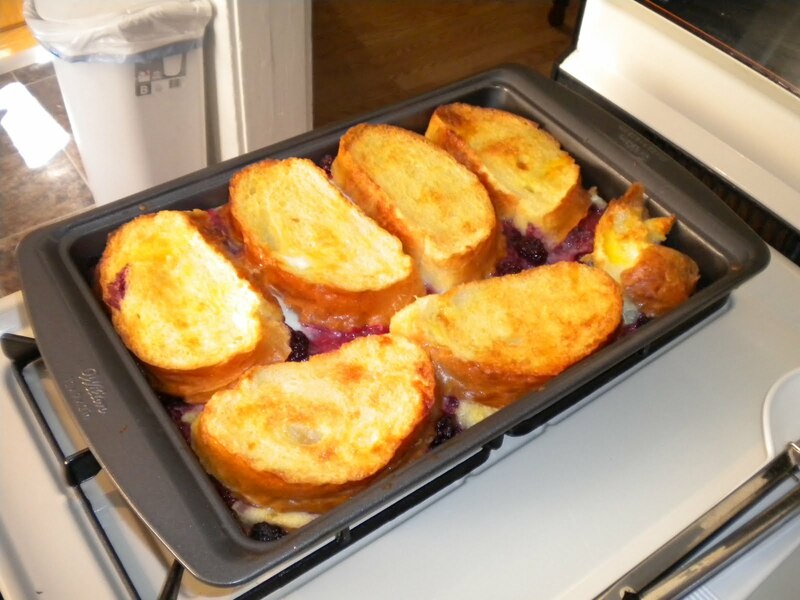 This entry was posted in Cooking and tagged baked french toast, breakfast, brunch, cooking, french toast, fruit. Bookmark the permalink.